Home » Latest News For Adults » Science – but not as we know it! Science – but not as we know it! What would you expect to find in a Library’s science section? With so much news being broadcast at us via television and the internet, it is often very difficult to tell the difference between media sensationalism and actual fact. Does bacon cause cancer, or doesn’t it? Is climate change real or not? What in the world is permafrost and how does it affect us? Are carbs actually hurting us? Will an asteroid collide with the earth and destroy us all? Want to find out the answers to all of these questions and more? Check out a book from the Science section at your library. Below are three that I have reviewed and learned some pretty interesting facts from while actually being entertained! Yes, science can be entertaining! 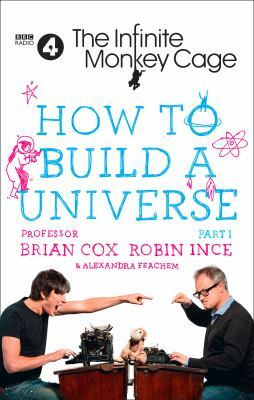 From the very funny people who have been presenting “The Infinite Monkey Cage” podcast and radio show for the last 9 years, Professor Brian Cox, Robin Ince and Alexandra Feachem bring you this fantastic collection of stories, quotes and facts from the science based show. Each episode of The Infinite Monkey Cage tackles important scientific concepts by gathering together a panel of very clever experts and usually one or two comedians or actors. The strawberry discussion is but one small part of this book. 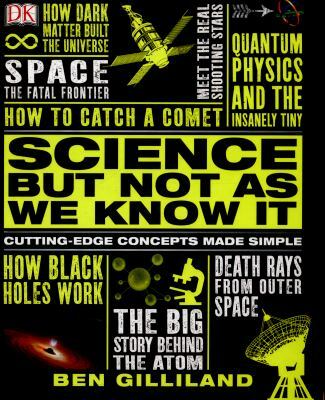 Some of the other fascinating chapters focus on such topics as the size of the observable universe (93 billion light years in diameter), Einstein’s theory of General Relativity, The Expanding Universe, The Apocalypse, Why we are all made of star stuff, Evidence and why ghosts don’t exist and Space Exploration. There’s also some stuff about levitating frogs, and some really cool photographs of snowflakes taken under a microscope. Those with curious minds and a good sense of humor should really enjoy How to build a universe. Part 1 . Science but not as we know it : cutting-edge concepts made simple written by Ben Gilliland & consultant Jack Challoner is so informative. The blurb suggests that this book will have you saying “I get it now!” over and over again, and frankly it was right. This book covers the main topics of Astronomy, Astrophysics, Quantum Theory and the scientific applications that allow us to understand the universe around us. Every couple of pages, a new topic is explained using clear uncomplicated language and fun graphics. One interesting chapter discusses the prospect of “warp drive”. It’s fascinating to me the way that science can propose a theory and using very clever computers and theoretical modelling, prove or disprove that theory without ever physically creating a thing. It turns out that faster than light travel is impossible, but, if you were to use the Alcubierre drive faster-than-light propulsion method (also theoretical), you would likely destroy the universe – unless you can prove string theory first. So unfortunately, no warp speed Mr. Sulu. The previous two books in this review were very focused on all of the big ideas and theories that make up the universe around us. This book by writer Matt Simon brings us back to earth and spends its time discussing all the the weird and wonderful creatures that evolution has created. Charles Darwin’s theory of evolution was described in his book On the Origin of Species by Means of Natural Selection, or the Preservation of Favored Races in the Struggle for Life, which was later renamed simply to The Origin of the Species. This controversial (for its time) release set the ball rolling on this whole evolution thing – and The wasp that brainwashed the caterpillar : evolution’s most unbelievable solutions to life’s biggest problems shows us some of the most weird, wild and unsettling ingenuity to evolve in the animal kingdom. Have you heard of the Pink Fairy Armadillo? This cute little fella lives in Argentina and is exactly as cute and rare as it sounds – though perhaps the huge claws and flat bottom take something away from the cutenes. Or perhaps you have come across the Aye-Aye, named for the natives’ cries of astonishment when glimpsing one. This little lemur is not very similar to the cuties you see cavorting with the Penguins of Madagascar. And then there’s the tiger beetle, who runs so fast he can actually blind himself! 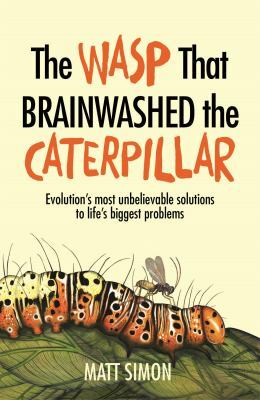 Check out The wasp that brainwashed the caterpillar : evolution’s most unbelievable solutions to life’s biggest problems to find out more about these strange creatures and their wild struggle to survive.